contours by straddling the valley sides. 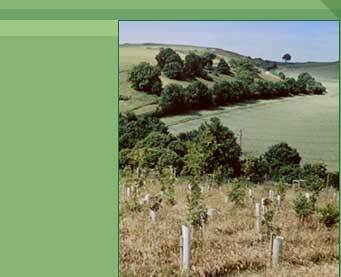 Predominant tree species are Beech, Ash and Oak occupying 50% of the broadleaved area. 20% of the woodland area is allocated to conifers for landscape and conservation diversity.